Home » Apple » Apple Vs. Samsung’s ….Sellers? We have been staying tunes on Apple and Samsung‘s battle for a couple of weeks now. We have different posts referring to the on-going clash of the two big tech-oriented companies. It’s not a big secret that Apple is also battling with other companies like HTC, and Motorola, but none of these battles are as active as the one they have with Samsung. Samsung has even teamed up with Microsoft just to get ahead of Apple which seemed to be on the winning side. As this battle progresses, it seems though that it’s not only Samsung that’s getting affected already, but their retailers as well. 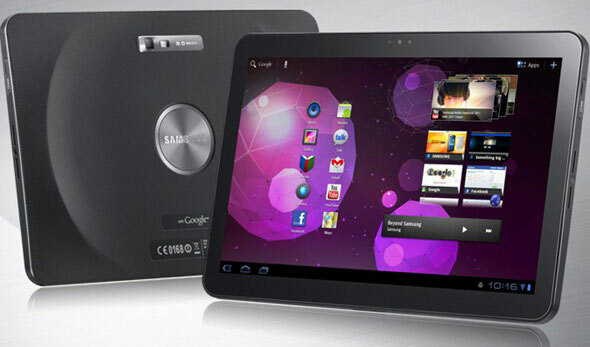 Apple has recently won a ban for the sales of the Galaxy Tab 10.1 in Australia. It’s a huge blow for Samsung, but the story doesn’t end there. Of course the local stores have pulled out their displays for the moment while Samsung is working on ways to lift the ban, but different online stores have not stopped selling the product yet. Apple reads this as an attack to them, and rewarded these online sellers with threats of lawsuits against them. Of course, these sites, as some of them are not small mediocre sites, are not to be bullied with Apple. Instead of responding to the legal threats by Apple, they seem to irk Apple even more on purpose by releasing statements that they are not going to remove and stop selling the newest Galaxy Tab just because Apple says so, and on top of that they claim that they are not part of the ban that Apple has filed. Instead, they are going to look for ways on how they are going to restructure their site so that they’re not going to be part of the ban anymore, legally and clearly, to stop Apple’s bullying. This site has always been pro-Apple, but this fight with Samsung is seriously getting way out of hand. We understand that Apple is getting annoyed big time that Samsung is making profit out of their creativity, and that Samsung should pay for it. But Apple should also remember to take this fight step-by-step instead of attacking even the smaller companies for crimes because they are also victims here. Samsung should also clean up its act as well, and customize their gadgets to make them original. They should remove the features that they copied already, so that no other retailers are going to be attacked by this big company that they are battling with. They should just accept the fact that they were caught, and just move on. We haven’t seen the last of this battle yet, and we’re sure that there are going to be more posts in the future that are going to serve as updates to this company war. We only hope that there wouldn’t be anyone crushed in between, whether the consumers or the retailers. By the way, Australia is not the only country in which the questionable tab by Samsung is banned. It was already banned earlier in Germany as well.